When the International Woodworkers of America merged with the Machinists Union in 1994, tens of thousands of timber industry workers found a welcome home as part of the IAM family. In the nearly 25 years since the merger, IAM woodworkers have consistently contributed to the union and to the cause of working families across the country. A self-proclaimed forestry nerd, Irvine possesses a passion for and understanding of the outdoors. As Local W130’s president, he tirelessly fights for his members, their families and the timber communities of the Northwest. He was recently part of negotiations with the timber giant Weyerhaeuser, which resulted in an industry-leading contract for the IAM’s roughly 1,100 members at the company. Timber towns throughout the Northwest were devastated in the early 1990s, when the government declared the northern spotted owl a threatened species and shut down most timber sales from old-growth habitat. Mills closed and thousands of jobs were lost, many of them union. Some older mills have re-opened and new ones have emerged, but the communities continue to suffer. Irvine also serves as vice president of the IAM Wood, Pulp and Paper Council, which was established to connect Machinists Union members and promote organizing efforts. 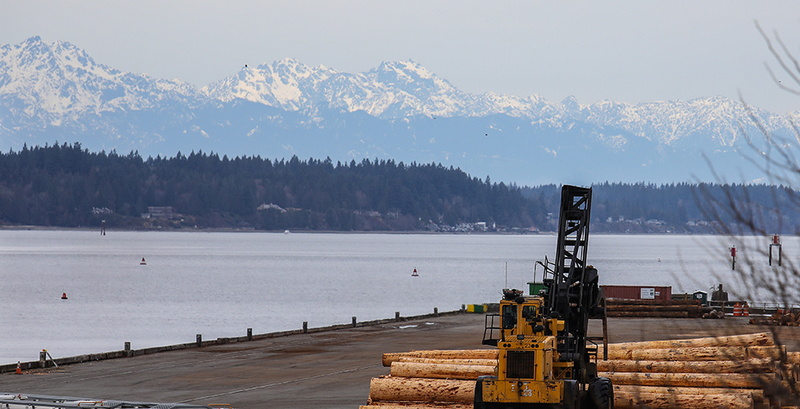 The IAM currently represents nearly 20,000 timber industry workers in the U.S. and recognizes the potential for growth in the Northwest. 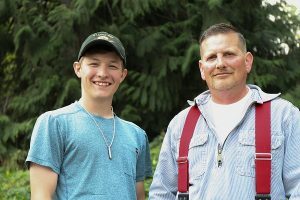 About two years ago a Local 130 logging crew member died in a motorcycle accident. Irvine was serving as the local’s financial secretary at the time. The boys’ mother passed away from cancer nearly four years earlier. At 21, the youngest brother, Daniel Salonka, served the estate’s executor. Irvine too lost his father when he was 21, and he knew it was a tremendous burden thrust upon Daniel. The tragic event sparked a relationship that continues to this day. At the time of his father’s death, Salonka was working as a cook in Olympia, WA, making minimum wage. Irvine wanted Daniel to understand that his father’s union legacy included an opportunity for him to get into the trade if he wanted. With Irvine’s help, Salonka entered a union apprentice program in Olympia, WA. 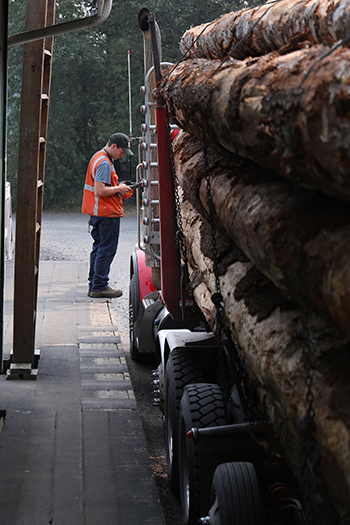 Weyerhaeuser only hires experienced log scalers for their yards, so he is currently working for Pacific Rim Log Scaling and Grading Bureau, an independent grading service. Log scalers are the final evaluators before timber is sold or enters a mill. It is a scaler’s responsibility to figure out the usable board footage and the grade of the log. The job requires a lot of mathematical calculating to make sure the timber buyer and seller have an accurate assessment of each log. Timber will then enter a regional mill to be cut into lumber or shipped internationally. Salonka is nearing the completion of his apprenticeship and is already benefitting from a union contract. He’s gaining experience, seniority and is truly appreciative of what he continues to learn from Irvine. The post IAM Journal Sneak Peak: Sustaining a Legacy appeared first on IAMAW.